Veteran running back Jamaal Charles is feeling good in Denver Broncos offseason workouts following two injury-marred seasons. 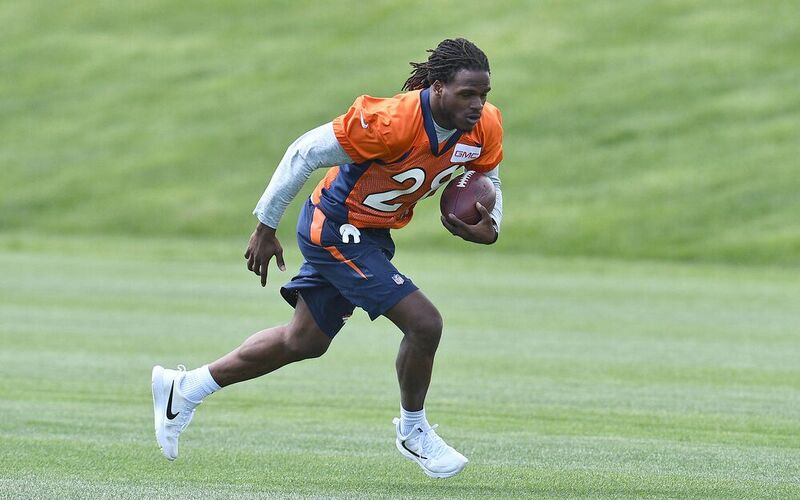 After knee injuries cut short and eventually ended the tenure of Jamaal Charles in Kansas City, Charles has indicated he’s feeling good and cutting with confidence in Broncos offseason camp. Charles, 30, is doing all he can to make the Broncos roster and help the former division rival make a playoff push. Charles holds the career rushing record for the Kansas City Chiefs and currently holds the highest yard per carry average of any qualified running back in league history. Yet, at the start of the 2017 offseason, Charles was released in a cost-cutting move. Due to a rash of recent knee injuries, Charles has only carried the ball 83 times combined over the past two seasons. As Charles ages, there were questions if Charles had anything left in the tank, per NFL.com. Charles signed with the Broncos in May on a one-year contract with no guaranteed money. Denver could certainly use the help on offense as questions, especially at quarterback, continue to hang over the organization since Peyton Manning retired. Coaches are hoping the combination of Charles along with veteran C.J. Anderson and second-year back Devante Booker will provide Denver with a solid and effective ground game.